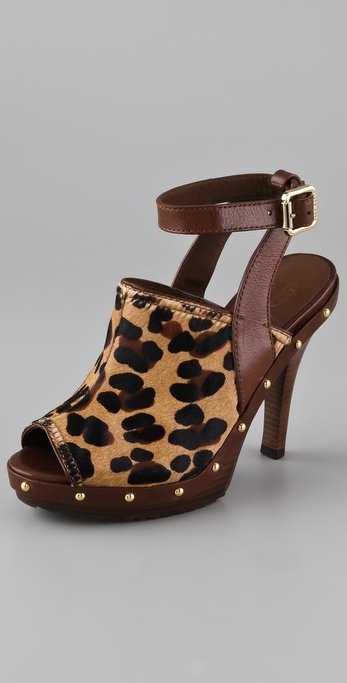 Today's So Shoe Me is the Bilson Haircalf Platform Sandal by Tory Burch, $350, available at Shopbop. 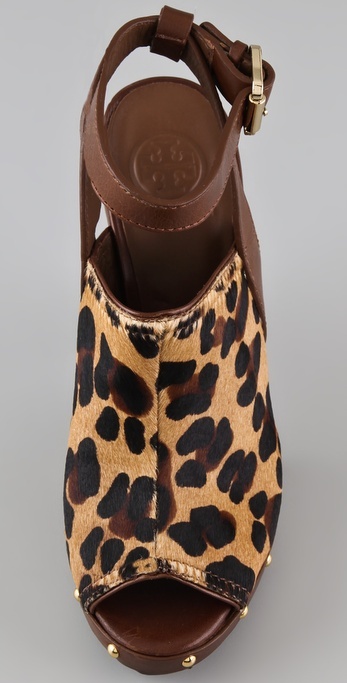 The mix of classic leopard and utilitarian details makes for a sophisticated sandal that can build upon casual or dressed up outfits. One of the reasons this sandal gets top style notes is its calf hair upper - it's always a luxe texture and always adds another element to anything it is paired with. The timeless leopard paired with tobacco leather is complimentary mix that will work well with bold brights, fun prints or classic neutrals. With heavy gold tone studs and buckles finishing off this casual meets luxury sandal you can be sure with the classic patterns and colors contrasted by the on trend shape the Bilson is one to invest in this summer. Style the Bilson with a pair of cuffed olive pants and a bright coral semi-sheer blouse for a modern meets utilitarian style. So Shoe Me a pair of animal print sandals that bring the best of casual and luxury into my wardrobe.